High range BAS Vampire Batting gloves for players who are playing at higher level and are facing fast bowlers. Provides better protection. Made from Litlone and Crossline padding with Korean P.U. Ergonomic finger & thumb splits. Palm made from premium quality Pittards leather. 3 piece sidebars on the lead hand. Perforation in palms for better air ventilation. Cotton toweling wrist band with velcro fastener. 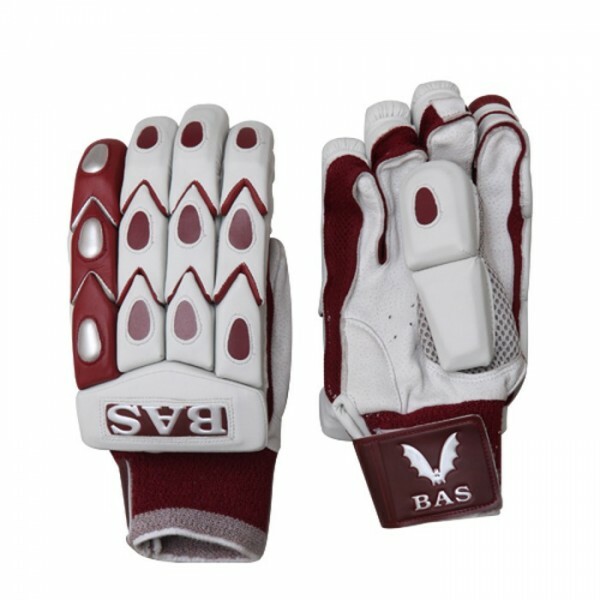 BAS Vampire Bow 20-20 Cricket Batting Gloves for International Players (Mens). Provides better protection when playing against fast bowlers.